Once you sign up for our platform you’re able to access all our tools with just one login. Even better, it saves all previous customization options and is a dashboard that you can go back to on a daily basis. We plan on releasing a lot more tools within our Platform so be sure to check back often! The best part of the platform is you’re able to fully customize your share buttons. We offer multiple ways to configure your share buttons to make sure they look absolutely unique! Within the Share Buttons tab you’re also able to choose between Sticky Share Buttons or Inline Share Buttons. 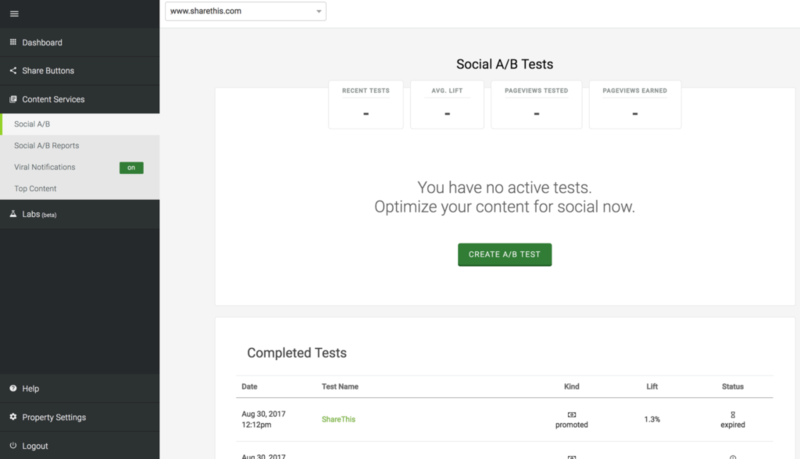 In this section of the platform you’re able to test and monitor your content’s optimization by using our Social A/B tool. Here you’re able to test alternative headlines and compare the amount of potential traffic it can receive vs other headline variations! For more information on Social A/B, check out our intro article here. Last and certainly not least, we have the Labs section within our platform that aims to introduce new features that can help grow your website’s traffic. While most products released in this section will be in beta, it is our main goal to improve on these tools and make sure they are absolutely perfect based on publisher feedback. 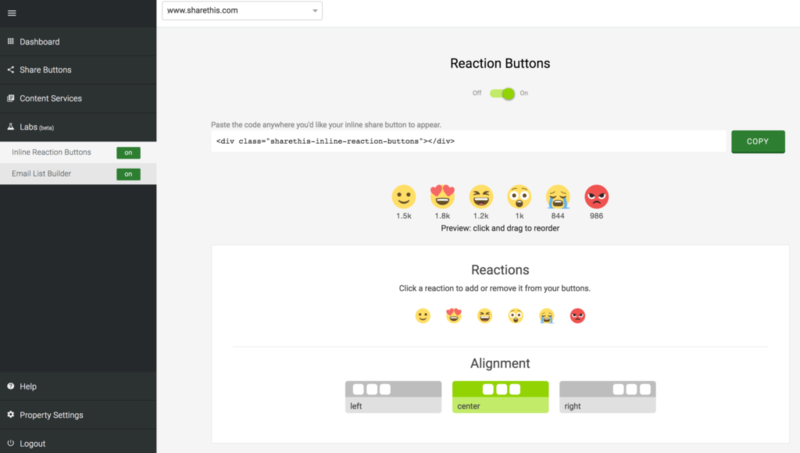 Currently in the Labs section, we have the option to include Reaction Buttons onto your website to further engage with your audience! In short, we hope you enjoy our Platform and look forward to bringing our publisher’s even more tools to play with. Happy sharing!